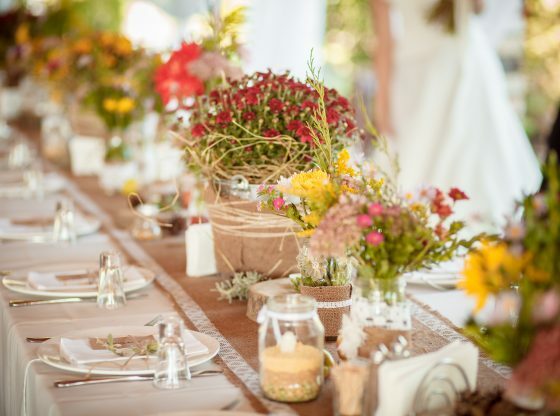 A table runner, used with or without a tablecloth, is the foundation of your tablescaping theme. Table runners take your table setting to the next level of sophistication by giving it a finished appearance. Whether you are looking for wedding reception table runner ideas, spectacular runners for your next dinner party or simply creative ways to inspire your home, Jamali Garden has what you need to create the impression you want. The designs and trends for table runners are as unique as every occasion. Dressed up or down, the table runner is the chameleon of your centerpiece. 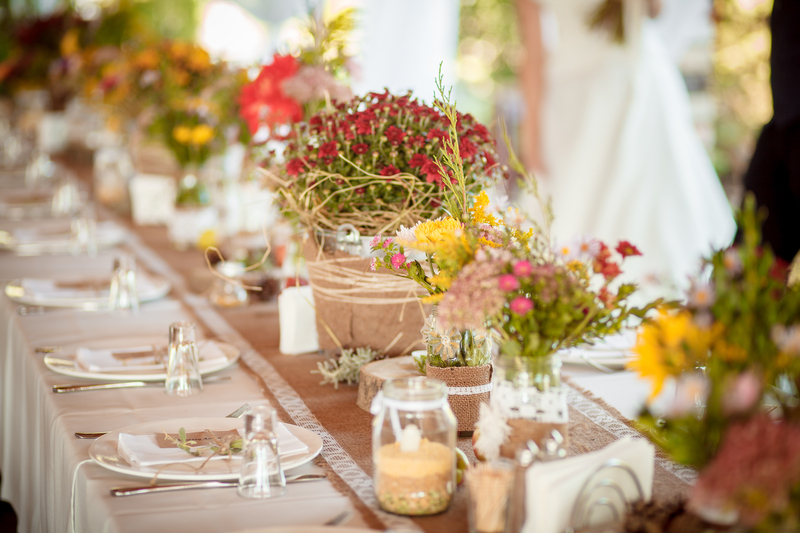 The same runner can be used for many different looks, seasons and events by simply changing your tableware and florals. Below are some of the on-trend ideas you can use to wow your guests at your next gathering. Add some mini pineapples and a tall arrangement using this red ginger spray for a breezy tropical island flavor, perfect for summer fun. Using the same bamboo tile runner and placemats, make bouquets with oriental lilies or an anthurium spray to create a sophisticated, exotic look. Float some candles in a glass bowl filled with water for a Zen ambiance at your dinner party. Mix all three colored placemats paired with a natural runner for a subtle yet festive look. Potted succulents and votive candles clustered as a centerpiece create a gorgeous desert design. Use a single-color raffia runner and mat to dress your table up for a Cinco de Mayo celebration (or any other fiesta!) by adding a vibrantly colored piñata and some maracas. Highlight a single color in your tableware with the green or the brown raffia runner and placemats, going for a monochromatic look. 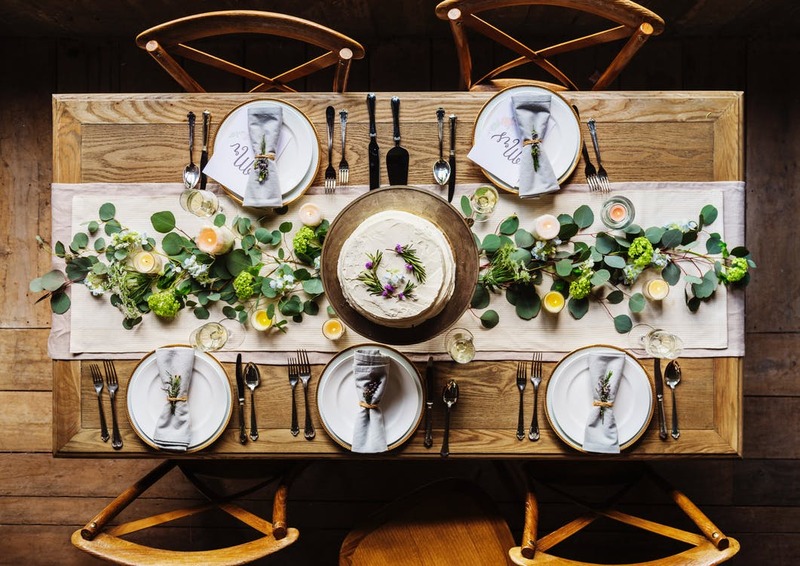 Stun your guests with the simple elegance of a moss table runner with birch bark candles as a centerpiece, for an earthy-inspired look. Accent a simple black tablecloth with a moss table runner. Line vintage brass candle stick holders of varying heights down the center. For a secret enchanted forest feel, use floral vines to surround the candle sticks. Add eye-popping succulents in clusters on top of the moss table runner for a fresh desert look. Choose different colors and varieties of succulents for an added dimension of depth. If you want to add style, color and texture to your table, browse the selection of table runner designs available at Jamali Garden. We can take your table from boring to beautiful — see for yourself!